Yet another satisfied Good Shout Media customer! 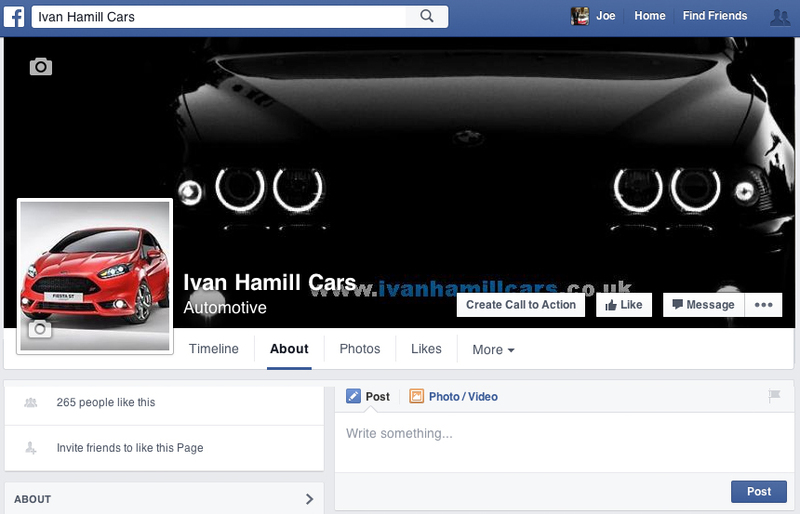 Ivan Hamill wanted to update his Facebook page to give his dealership the look and feel that it deserves. 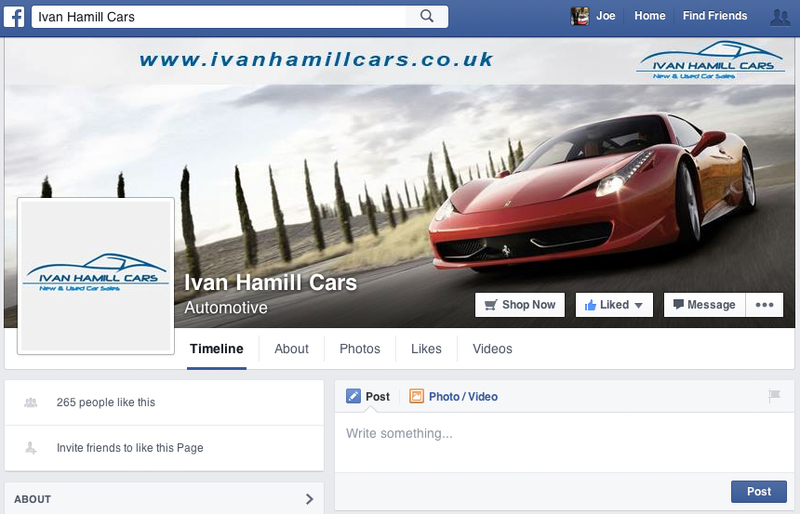 Good Shout Media stepped in to give Ivan’s social media channels a light restoration, and now we can happily say that Ivan Hamill Cars has passed the Good Shout Social Media MOT!